Start maturing your processes by identifying the tasks, the task owners, and most importantly, the order of operations. Identifying this key information is the first step towards gaining clarity on how your organization operates. This exercise may uncover areas where there is only one staff member who can perform the task—a huge business continuity risk. After you have identified the tasks, start the process of documenting the instructions for each task. Be thorough because these task instructions will serve as a reference guide for cross-training and knowledge transfer to new-hires. Include links and screenshots to make the instructions comprehensive and self-explanatory. In addition, since data entry screens frequently change, make sure that these instructions are regularly reviewed and updated by the task owner. 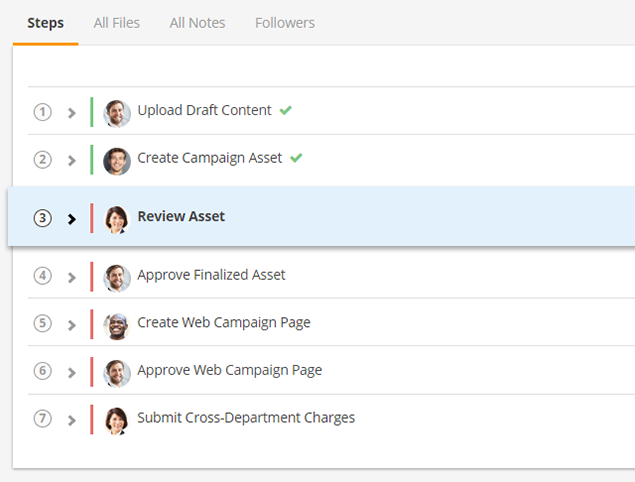 Once you have identified the tasks and the task instructions, make sure there is a backup for each task. This is an opportunity to start following the best-practice of cross-training among your teams to eliminate single-points-of-failure and minimize business continuity risk. After cross-training, assign the task to a team instead of an individual to ensure that you are no longer single-threaded. 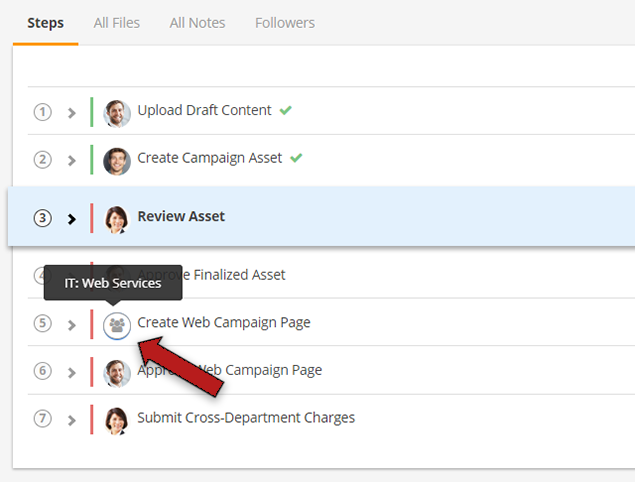 After the steps are assigned, the instructions documented and the teams cross-trained, you are ready to launch the workflow. Be sure to standardize data gathering by creating structured forms for submitting a request and for completing a step to eliminate data-entry errors. 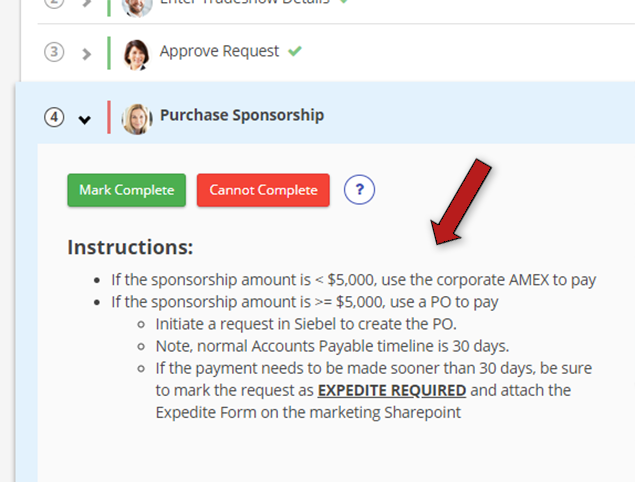 All these steps combined help systemize your process, resulting in increased efficiency and ROI, better collaboration between teams and higher quality of deliverables. 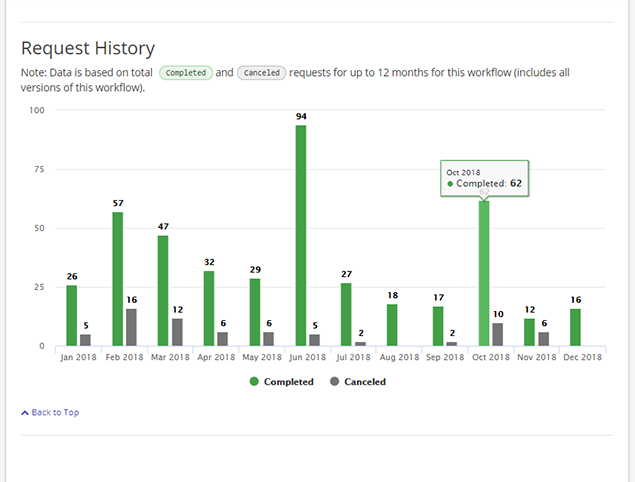 After you launch the workflow, Pipeline automatically tracks and monitors KPIs on your requests, including request volume, time-to-completion, resource load, etc. As a best practice, continuously monitor and analyze these KPIs to identify opportunities for improvement using techniques like Six Sigma, Lean, etc. KPI goals and targets should be set to continuously deliver ROI to the business.